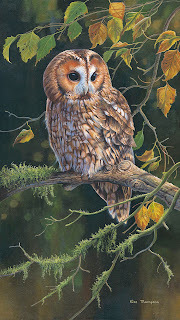 Two of my paintings of owls will appear at the NEWA event at Gordale garden centre on The Wirral. The owls are a matching pair and a favourite subject of mine. I have watched both of these birds whilst dog walking and riding around the countryside in West Sussex. 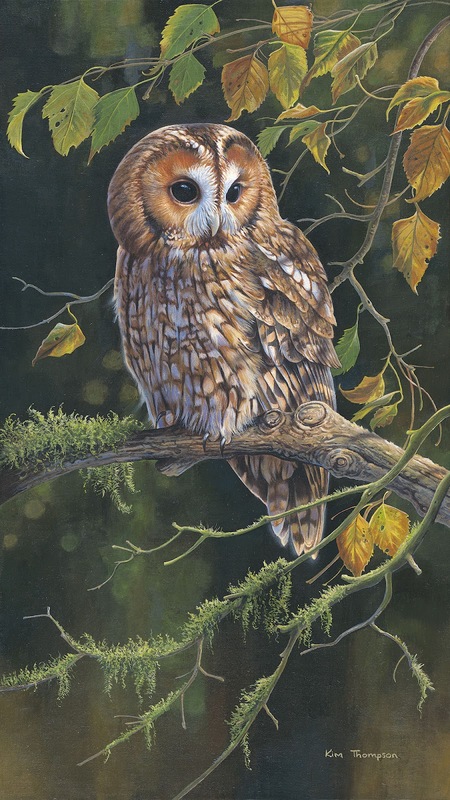 The Tawny is more usually heard rather than seen as it lies low during daylight and emerges at dusk, hooting and patrolling its territory of field edge copses and stands of oak amongst the farm land. Patient watching and listening will often bring a glimpse amongst the branches and hooting back to his call might even get this curious owl to come and check you out. 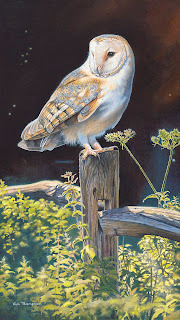 One evening last summer, when walking my friend's German Shepherds, I spotted a Barn Owl softly quatering the fields, it's wings turned blush pinky apricot as the sun was setting. That low evening light, slanting through the green nettles and seedy heads of Cow parsley seemed a perfect setting for a Barn Owl, resting between hunting trips on the entrance to a farm yard. Beatifuul owls.Its noticeable the fine perfiles and definite details.Salutations from Catalonia!. Thankyou Marc. 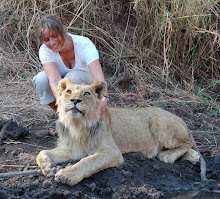 Lovely to hear from you. I rode a horse through the mountains in Catalonia several years ago and loved the scenery.Great memories. Best wishes from the UK!